Our new & improved Guilt-Free Cupcakes are keto-friendly, grain-free, sugar-free, low carb, and diabetic friendly. Place your order online for pick-up or delivery! Plus download our Android app here. Our gluten-free & peanut-free bakery also offers French macarons, cinnamon rolls, custom cakes and more! Get cupcakes delivered to your home or office, within the hour from Postmates, Uber Eats, or GrubHub! Send a digital giftcard to someone’s email or phone now! Vegan, Keto/Guilt-Free, Gluten-Free and even Paleo! Available EVERYDAY! Add a “Mystical” Touch with Miss Moffett’s! Miss Moffett has cornered the market on serious deliciousness! As seen on Cupcake Wars! Watch us in the Food Network’s LA Bridal Bash Cupcake Wars episode! See what people are saying about Miss Moffett’s Mystical Cupcakes on our Testimonials page! Flavors will include Carrot Cake, Lemon Cheesecake, Almond Joy, Strawberry Shortcake, and more! 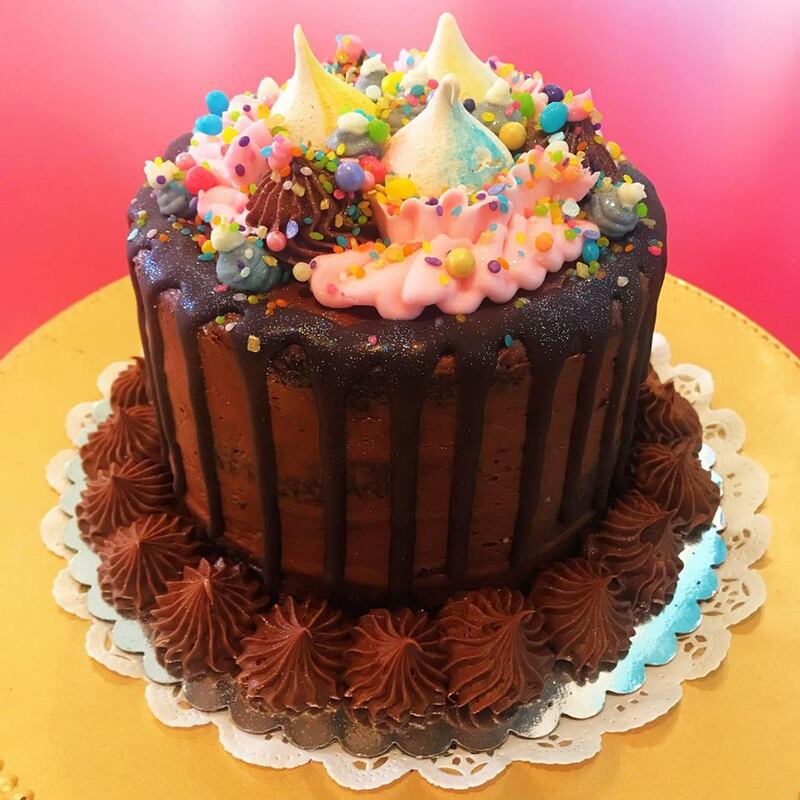 Drip Cakes Available for Easter! BONUS: Use EASTER19 at checkout for 10% OFF your order! PLUS, FRENCH MACARONS ARE BACK! As seen on Food Network’s Cupcake Wars! Gluten-Free, Vegan, Sugar-Free & Paleo Options Available! Digital Gift Cards! Send a cupcake to someone’s email or phone NOW! 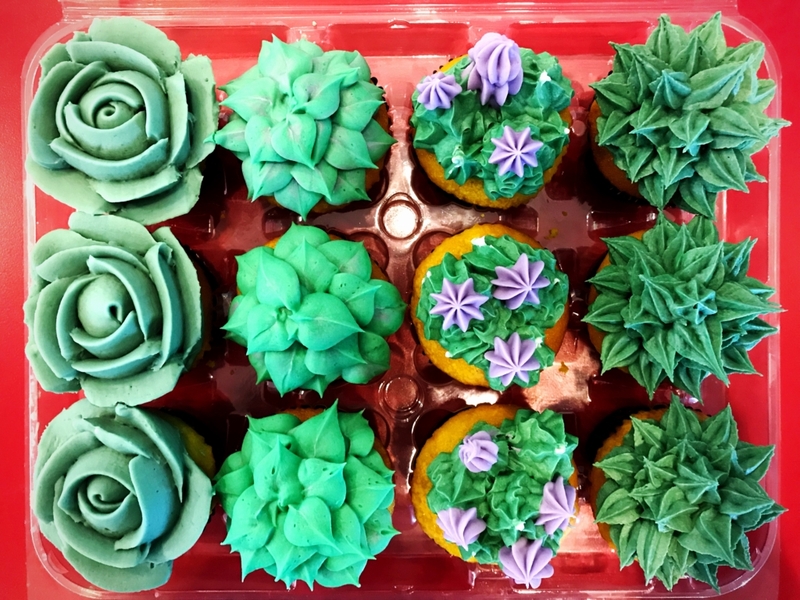 Miss Moffett’s Mystical Cupcakes is Olympia’s first dedicated gluten-free and peanut-free bakery. Our products, inspired by the founder’s great-grandmother, are created from scratch with the freshest ingredients and most unique, delectable flavors! Our naturally gluten-free cupcakes are moist and fluffy; our frostings are light and airy. Our array of offerings will entice you, inspire you, and satisfy your sweet tooth cravings for sure! To learn more about our story, our inspiration, and our founder, go to our About Us page. Find us at Capital Mall.